This section describes how to manually configure Automation Server for a Test or Production environment running in a .NET platform, and whenever it is not an option to run the Automation Server installer (i.e, without the Management Console included by it). Keep in mind that this procedure is not needed when using the One-click Deployment feature in Bizagi (it is applicable when using Advanced Deployment). Before you start, it is important you make sure that your Authoring (Development) environment is already set. The path where Bizagi is installed in your Development environment (by default at C:\Program Files\BizAgi\[Bizagi_edition]\) will be referred to as <BIZAGI_PATH> from this point on. Installing Automation Server (via its installer), includes required components. However and given that this manual configuration parts from not running the installer, then the following steps are carried out. 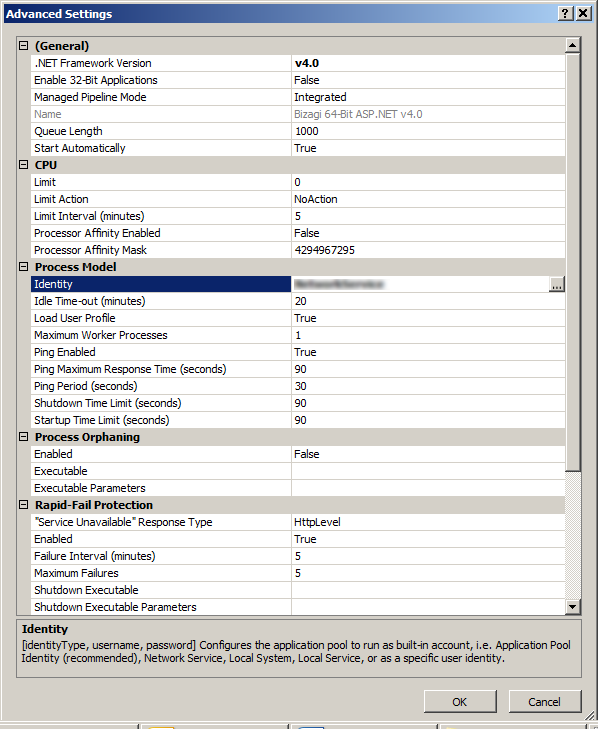 Notice that Bizagi does not require additional components at the database server. 1. Microsoft .NET Framework 4.5.2 full. 2. Internet Information Services components. To make sure your server has a supported version of IIS and the necessary components, refer to: IIS configuration. 3. Additional components according to your project's characteristics. •If you are using for your Process repository is an Oracle Database, or you use the Virtualization/Replication features to connect to an external Oracle Database, you will need to install the ODP.NET connectivity client. •If your project integrates with SAP systems, through the use of Bizagi SAP connector, you will need Visual C++ 2010 redistributable. 1. Having purchased the proper Bizagi license. This license should be at hand in order to activate it in the production server, otherwise Bizagi Work Portal will not work. For further information about licenses, please contact sales@Bizagi.com. If you are setting up a clustered environment for Bizagi (multiple nodes to support load balancing capabilities), you may carry out the steps described below, but it is important to contact our support team to make sure you have activated your license in the clustered environment (for all Bizagi nodes). 2. Having acknowledged the implications of a manual installation. When manually setting up the runtime of Automation Server for your processes, note that you will need to carry out a similar procedure when upgrading your project to a newer Bizagi version. Plan accordingly so that you acknowledge that you will need to upgrade Bizagi version with a previous assessments, replacing files and by running scripts. Contact our support team if you wish to carry out this procedure. Additionally, it is recommended to install as well the Management Console (in a machine having access to the database server), in order to be able to administer your project's parameters, as described in the Additional steps section. 1. Create your Production or Test Database. In this step, you publish those processes which have been already implemented to a database different than the one used in the Development environment. 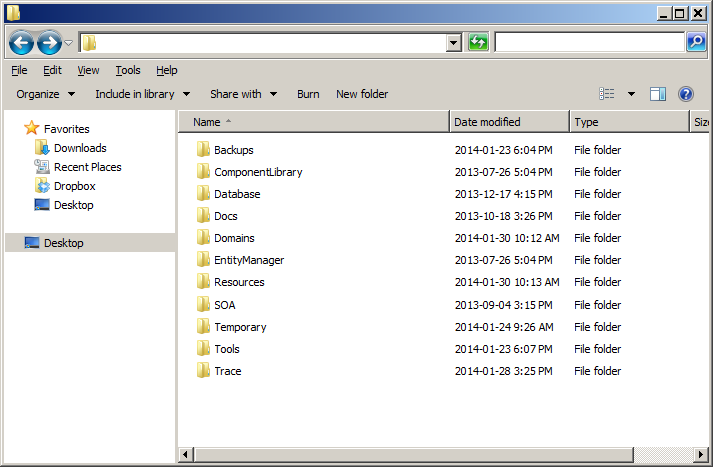 In this step, you create a directory in which you will place all relevant files and structure for your Bizagi project. 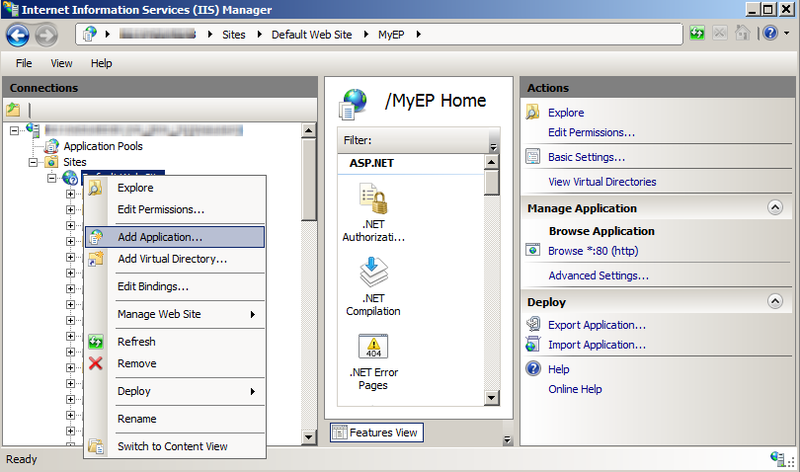 In this step, you install your project's Work portal in the IIS. 4. Install and configure the Scheduler service. In this step, you install your project's Scheduler as a Windows service (the Scheduler service is in charge of executing offline tasks). In this step, you activate the purchased license to support your Production or Test end users. When the One-click Deployment feature is not used, you will need to create a Database for your Production or Test environments. You create this Database with your published processes by using the Advanced Deployment tool. For more information refer to the Advanced Deployment. Once this step has been completed, make sure that you end up having the details of the connection to your Production or Test Database (these will be needed to configure the Work portal and the Scheduler service). Before you install the components for the operating environment of Bizagi, make sure you create a local directory at the server, in which you will place all relevant files and structure for your Bizagi project. •The path on which this directory is created, will be addressed from now on as <PROJECT_PATH>. •Name the directory after the name of your project. 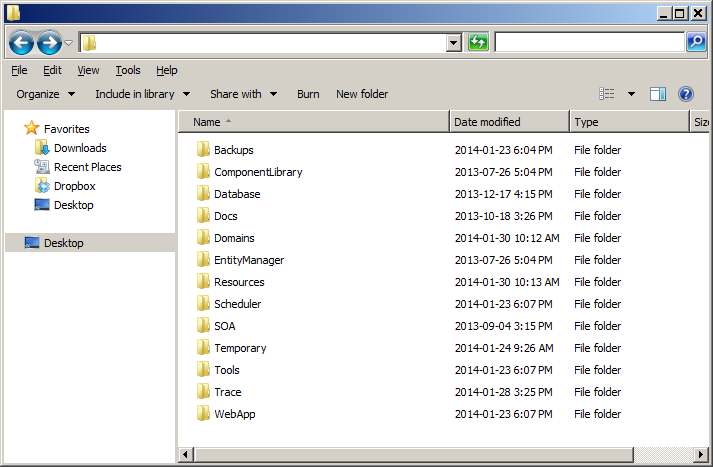 Backups, ComponentLibrary, Database, Docs, Domains, EntityManager, Resources, SOA, Temporary, Tools, and Trace. To install Bizagi Work portal, you will need to copy Bizagi web folder and files into <PROJECT_PATH>\[Your_project_name]. These set of steps for the Work portal should be done in any number of servers, if your solution considers more than one in a clustered environment that supports load balancing capabilities. Therefore and for a cluster configuration, make sure you install and configure the Work portal in each of your cluster nodes. 3.1. 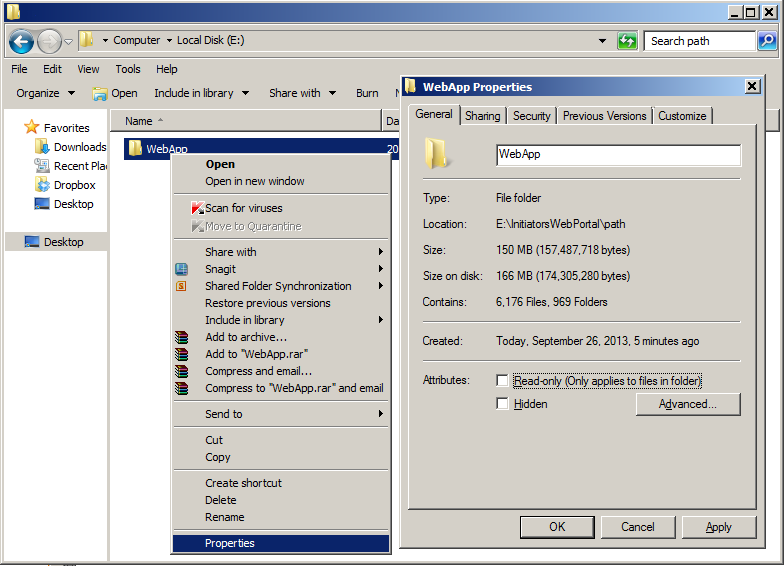 Copy the Web application folder. Take a copy of the WebApp folder found at the Bizagi's Project Model files (located at <BIZAGI_PATH>\ProjectModel\WebApp\), and place it into the server's local path of your project (inside of <PROJECT_PATH>\[Your_project_name]). 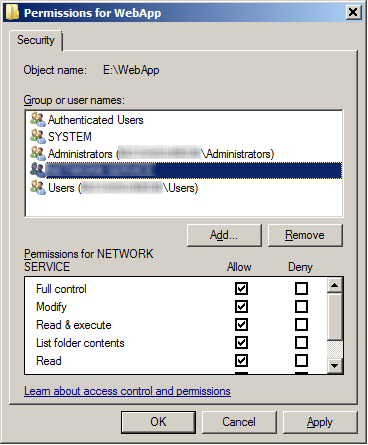 3.2 Review the Work portal folder’s access rights. Once you have copied the WebApp folder into the new path, make sure it is not marked as read-only content. To review this, you may right-click that folder to select its properties and make sure that the Read-only checkbox is unselected. Then, make sure that you also grant Full control rights. We recommend you use one account that has such access rights and that is valid within your domain (a dedicated network's service account). 3.3 Preconfigure the Work portal. Edit the Work portal configuration file so that it includes the connection details to your project's database. 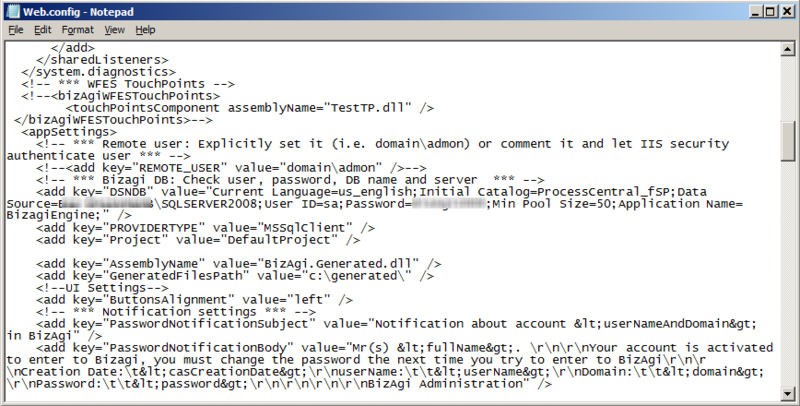 To do this, locate the <PROJECT_PATH>\[Your_project_name]\WebApp\web.config file and edit its DSNDB, PROVIDERTYPE and PROJECT keys according to the detail of the connection to your Test or Production database. Follow the detail provided below. o[db_server_instance]: The Database server, including the instance name if explicitly defined. o[project_database]: The name of your project's Database. o[login_account]: The user login used to connect to that Database instance. o[login_password]: The password for the user login. This information can be included as encrypted. o[project_name]: The name of your Bizagi project for this environment. Notice that this detail should refer to the database created with the Advanced Deployment procedure. o[port_number]: The port in which the Database service listens to. o[service_name]: The Database service identifier. o[user_schema]: The name of your Bizagi project (seen as the user schema). o[schema_password]: The password for that user schema. If your server uses IIS 7 or higher, keep in mind that you need the HTTP compression feature enabled for performance enhancements in Bizagi. 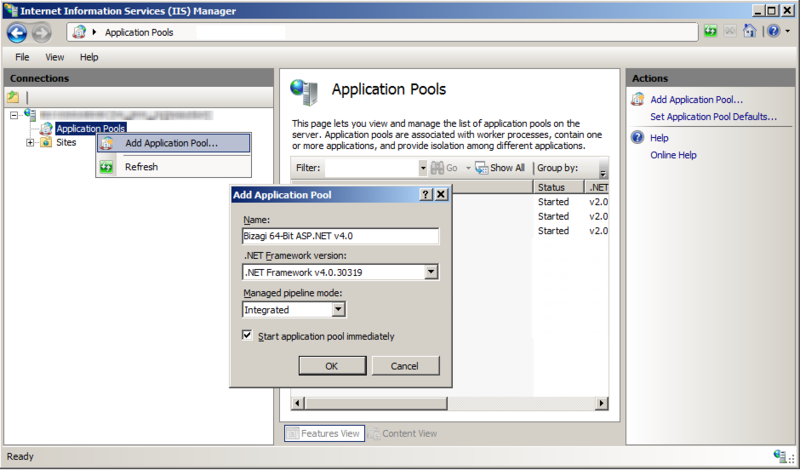 To create the Work portal as a Web application, first make sure you have a proper application pool for the Work portal. To do this open the IIS Manager (inetmgr). •Name: Give a unique name to this pool. 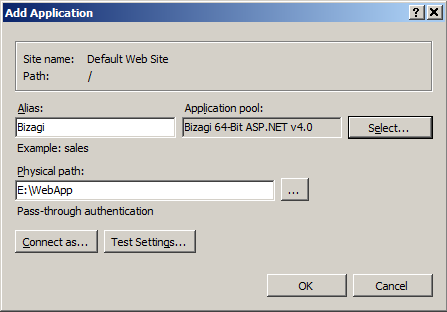 If you are using a 64-bit installation, it is suggested naming the pool as Bizagi 64-Bit ASP.NET v4.0. Otherwise, for a 32-bit installation you may name the pool as Bizagi 32-Bit ASP.NET v4.0. •Enable 32-Bit Applications: False (if you are using a 64-bit installation). For 32-bit installations, select True. Notice that by default and most commonly, the Application is set to the Default Web site. Though, you may use different Web site and consider its port number setting if different than the default port 80. •An Alias for its location. •Use the Application pool defined previously. By default, the Web application's Authentication settings are created having Anonymous authentication enabled and Windows authentication disabled. It is required that Anonymous authentication is enabled regardless of the authentication used by your project. You will need to review the Windows authentication setting only if you will be using integrated Windows authentication in your project. At this point, the Work portal has been set for your Bizagi operating environment. To install this service, you will need to copy Bizagi Scheduler folder and files into <PROJECT_PATH>\[Your_project_name]. 4.1. Copy the Scheduler folder. Take a copy of the Scheduler folder found at the Bizagi's Project Model files (located at <BIZAGI_PATH>\ProjectModel\Scheduler\), and place it into the server's local path of your project (inside of <PROJECT_PATH>\[Your_project_name]). 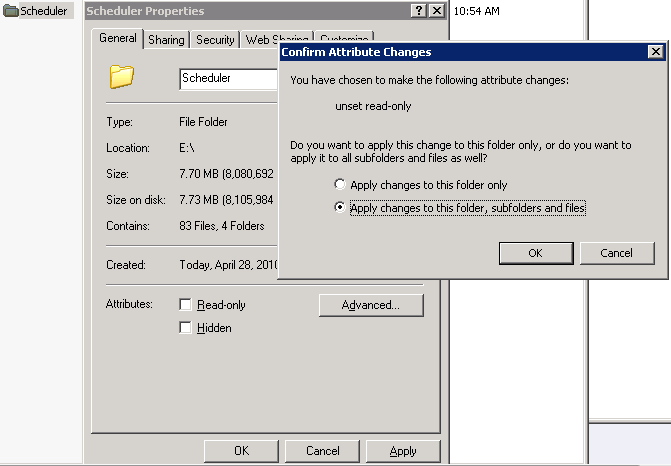 4.2 Review the Scheduler folder’s access rights. Once you have copied the Scheduler folder into the new path, make sure it is not marked as read-only content. Edit the Scheduler's configuration file so that it includes the connection details to your project's database. 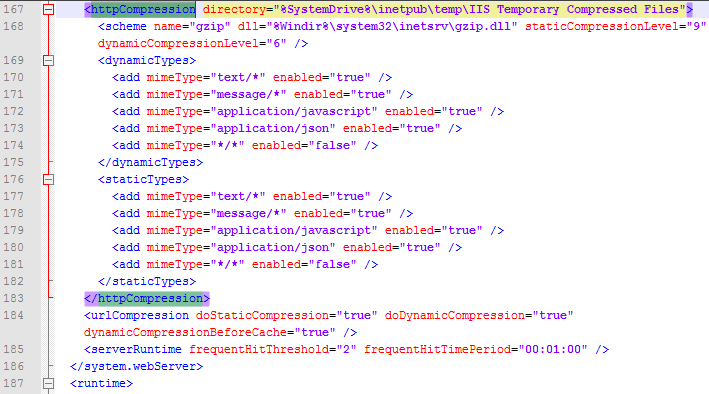 To do this, locate the <PROJECT_PATH>\[Your_project_name]\Scheduler\BizAgi.Scheduler.Services.exe.config file and edit its DSNDB, PROVIDERTYPE and PROJECT keys according to the detail of the connection to your Test or Production database. Follow the detail provided below. 4.4 Install the Scheduler service. •[project_name]: Is the name of your project. •[framework_version]: Should be defined as framework64 or framework according to your Bizagi installation (32 or 64 bits). 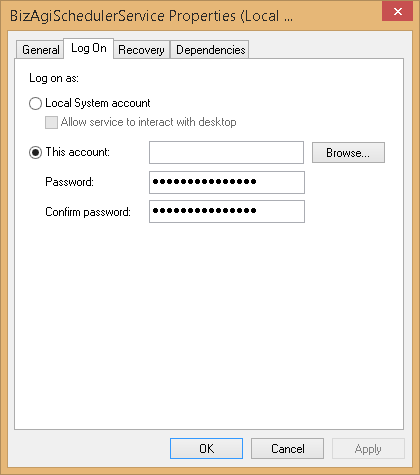 Once you have created this file, run it with an administrator account to install the service. You may want to review the log and the machine’s services to make sure that the service has been successfully created and that it appears listed as available. 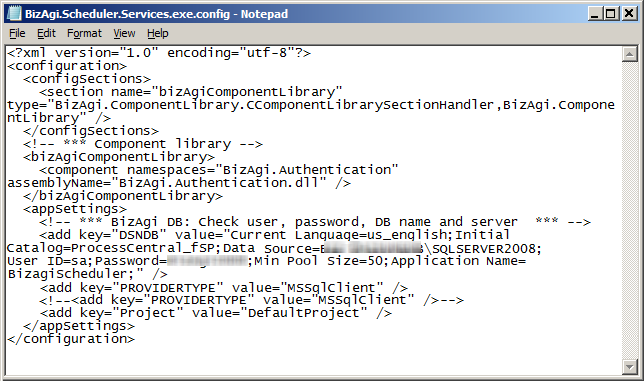 Notice that at the end, the service called BizAgi[project_name]SchedulerService will need to be started. Activate your purchased license in which for this specific setup, you may activate licenses through a Bizagi which is installed in a server within the same network as your test/production server. If you are setting up a clustered environment, please contact our support team. At this point, you will be set with your Bizagi operating environment. To administer your operating environment, keep in mind that you may use the Management Console, even from a different server (it requires connectivity to the database). By using the Management Console you may configure active parameters in production such as: the SMTP server, URLs and systems involved in external Web services, ECM and Virtualized systems, among others. To use the Management Console, keep in mind you need to install it in a server with network access to the project's database. 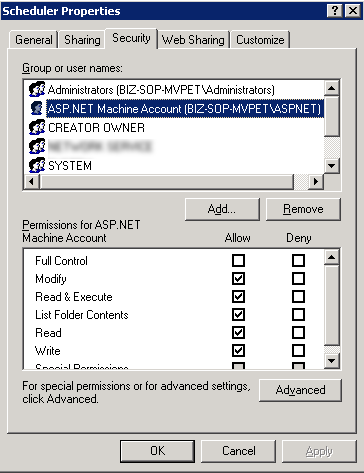 When defining the documents repository of your project (where case attachments are stored), note that if you are using a file server's shared folder then you will need to make sure that the service account described above (used to startup the application pool and Scheduler), have read and write access to that folder. Recall that if you are using a clustered setup having more than one node, then each node should be able to access this shared folder with the required rights.